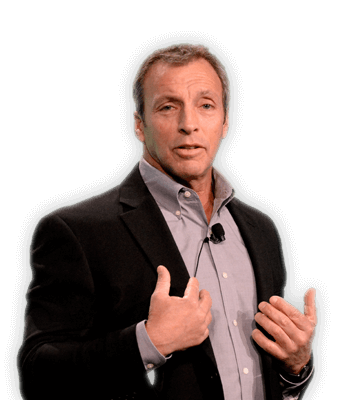 Motivational Keynote Speaker, Author, Coach and World Champion Dan Brodsky-Chenfeld will teach you how to create champions and build winning teams. An extreme testimonial to the relentless and unfailing nature of hope and one man's ability to overcome any obstacle in order to achieve his lifelong passion. I wish I had the chance to hear Dan speak and read his book earlier in my life. Helping people to discover confidence in themselves they didn't know they had and faith in the world they didn't know it deserved. I aim to send my audience away with a plan that will help them map out a path to achieving their dreams. "Dan Brodsky-Chenfeld is a class act and I am grateful to know him as a friend. I have so much respect for him as a man - he not only understands the things we both talk about, he has lived them through extreme stress and has contributed greatly to the lives of others as a result." Filmed at TEDx Flanders, Dan's TED talk has inspired thousands of viewers worldwide to overcome their fears and discover their inner champion. 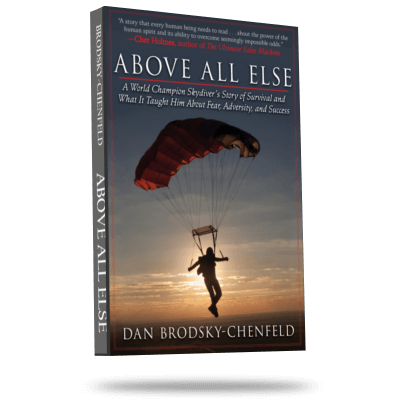 Dan shares how he found the courage to overcome tragedy, loss, and debilitating injury and go on to become one of the world's best competivie skydivers. Have a question for about how to reach your peak performance, achieve your dreams, or lead winning teams? Subscribe to his Facebook page and ask him. If you would like to recieve my newsletter you can sign up now! You will receive an email about once a month with information on bla bla bla.